This was taken only about 10 years ago. A friend from out of state and I drove back there to show her where I had gone to school. When the Baker, Fairview, Drip Rock , Sinking Valley one room schools were closed in the 1950's, students attended this 4 room building with a big playground, inside bathrooms -we couldn't use because of the side of the cistern. There wasn't enough water. The outside John's had to do. But it was nice to have the tile floors to play jacks. The side walks were much better for jump rope. I attended 2nd grade, 3rd grade, and 6th grade in this building in the 1960's . I was in 3rd grade when President Kennedy was shot. I remember Mrs. Isaacs came to school and told us about the shooting. 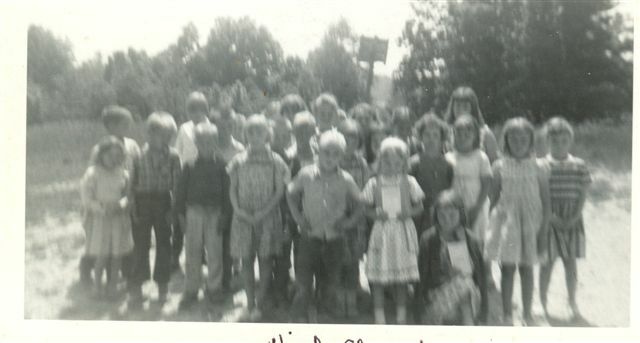 School group in 1964. 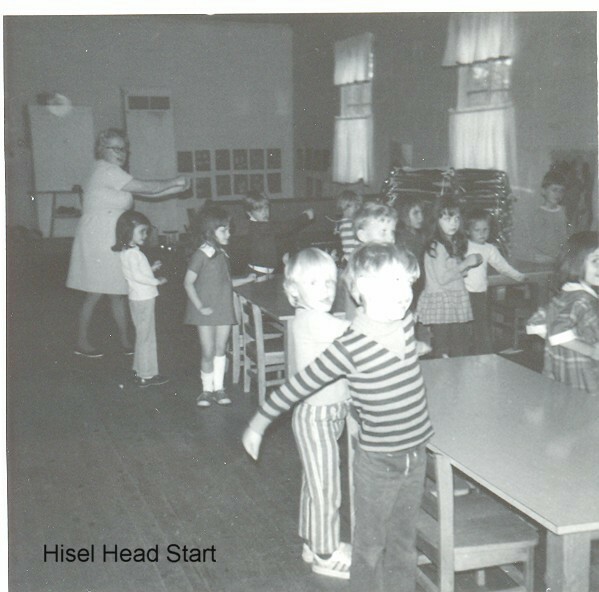 This picture shows just how big the school yard was. We could play baseball, basketball and have lots of fun just running. On the other side of the building was a wooded section I remember the saplings we pulled the bark from and placed another stick in the forks of the two saplings and would jump and swing over it. The recess of those days taught more social skills than any text book ever could. 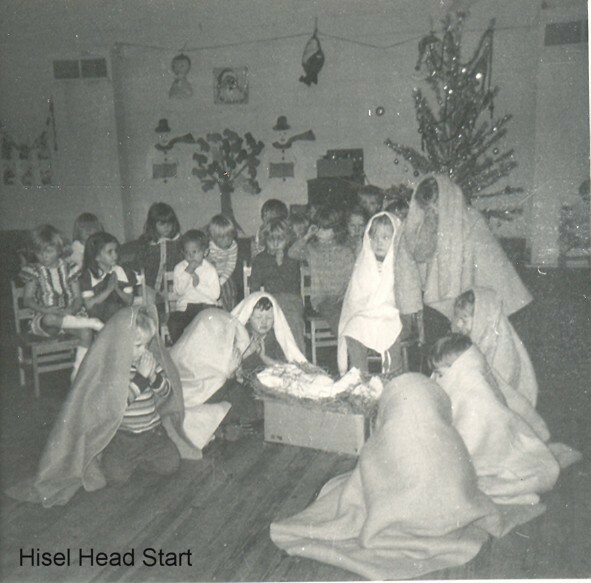 Christmas at the head start where my taught in the 1970's. 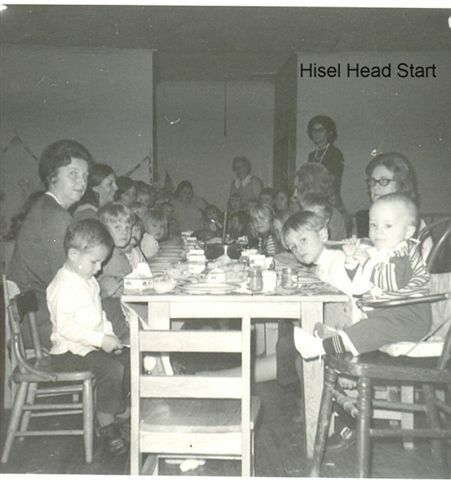 It was housed in the old Dutch Reform Church building at Hisel. It was located just below the elementary school. In those one room schools everyone was important. The schools today only muster feeling of resentment between students. I can't remember any awards until I was at McKee in the consolidated atmosphere. Praise was given or not needed on a daily bases. Of course my mom was either my teacher or was in the school where I attend except for one year before moving out of the local community school. There was an outstanding teacher at Kerby Knob and she wanted me to have him. Yes, he did leave an impression-I can, in my minds eye, see and hear him discussing world history. Our Chestnut Flat Road family (anyone that had lived on this road) reunion last month included our teachers--he was there.